I was on a real date once upon a time in a certain city. We had a bottle of wine among the other things, at a nice cozy place that was more crowded than a train during rush hour. The tables so close together that it’s impossible to avoid eavesdropping at your neighbors. Krazy Larry and his bud were next to us. Every once in a while he would intervene in our conversation; and yarn to us in the most abstrusely coarse voice you can imagine. We laughed and laughed, although I didn’t understand half the things he was saying, the wine helped. Let’s just say everyone was over the limit so cackles came easily. Krazy Larry is a pant maker in New York City. I think he gave my date a card, and told her that she would look great in his pants. Is email ok? No No, no emails! Fax me your address and I shall mail you a Krazy Larry pants. Indeed she faxed him her pant size and got a call! So once she got her pants, I wanted to Google him to see if what I remember that night was real. Well…I found this post; what another person thought of him. Krazy Larry is a character living the cool life of fashion designer in NYC. He is eccentric and vivacious and has a twisted view of life in the fast lane. Published by Nolawi October 14th, 2009	in Dating, Design and Social. 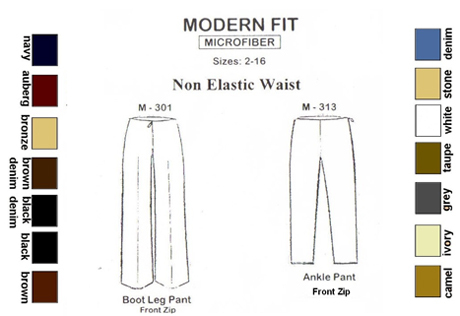 apparently these are the best pants… in the world.. according to Larry..
did u have a date with a 40 something? I was on a real date once upon a time in a certain city. Nolawi, do you go on fake dates ende? Nolawi u really killed me….so true!!!!!! There is so much garbage out there about this; it makes it hard to sift through to find good information. Thank you for the clear perspective. Later.